Experts expect the printing and packaging markets to grow for many years to come. Global demand for pulp and paper products should increase with continued industrial development — and with worldwide population growth, urbanization, and rises in standards of living. Efficiency has always been one of the keys to profitability in the global pulp and paper industry. That means producers are focused on reducing waste, cutting downtime, and controlling energy costs. We have more than four decades of application and installation experience at pulp and paper mills worldwide. 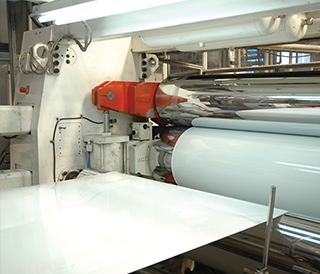 Our precision web tension measurement products let paper machines operate at higher speeds with fewer breaks and greater consistency. Patented reel optimizing (ROS) and Rider Roll (RRS) nip load control systems eliminate winder-induced roll defects. Our products provide more than precision and control — they are robust, withstanding the vibrations that take their toll on these machines. The paper industry is one of the world’s largest energy consumers, so less downtime and fewer mistakes translate to less power used, an efficiency that can be seen on the bottom line.